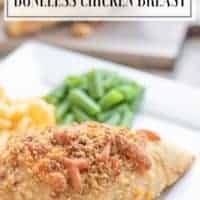 This baked breaded boneless chicken breast recipe is simple and very easy to make. Not very time consuming at all. 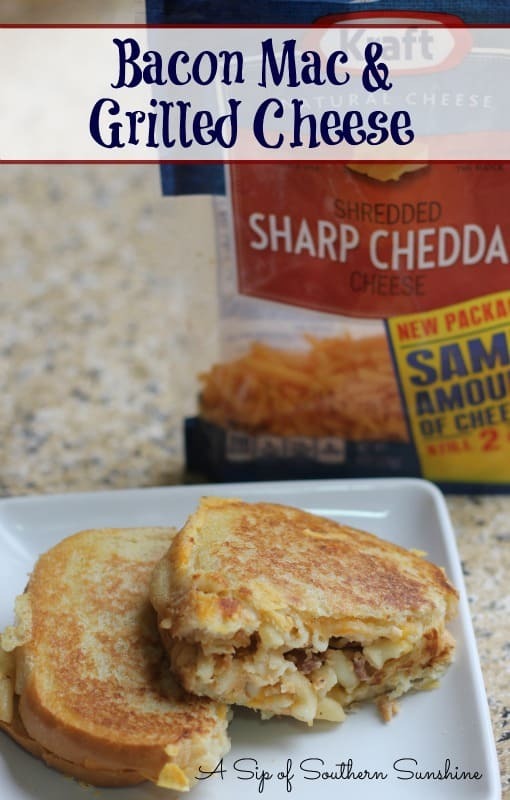 If you're like me you are looking for quick, easy, and tasty meals. I was surprised at how juicy this chicken turned out. I’ve made my fair share of dry chicken. This is not that! 1. Melt butter in a bowl larger enough to roll breast in. 2. 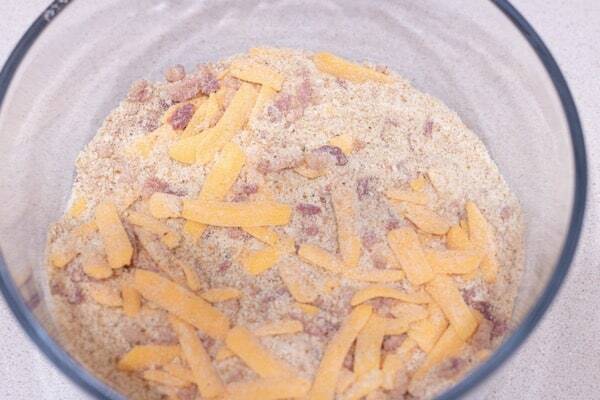 In another bowl combine bread crumbs, bacon bits, and cheddar cheese. 3. 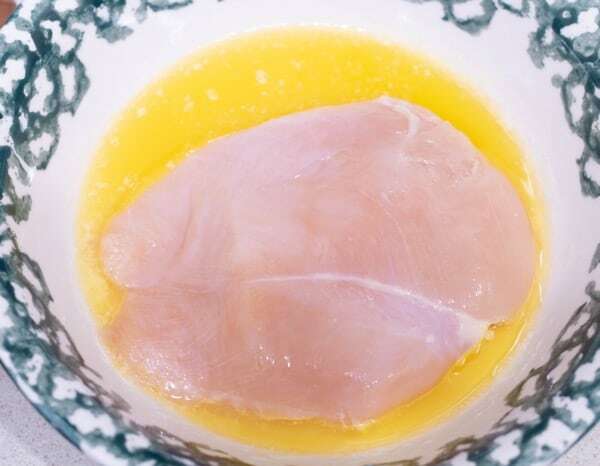 Roll chicken breasts in melted butter bowl be sure both sides get good and wet. 4. Then roll both sides in bread crumb mixture. 6. Top with left over bread crumb mixture then pour remainder of the butter around the sides of the dish. 7. 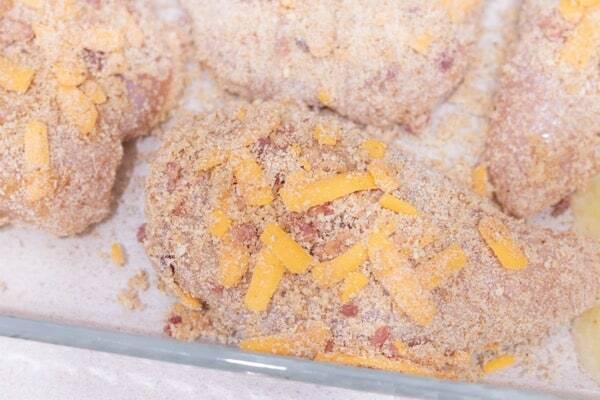 Bake at 350 for 45 minutes or until chicken is tender. Melt butter in a bowl larger enough to roll breast in. 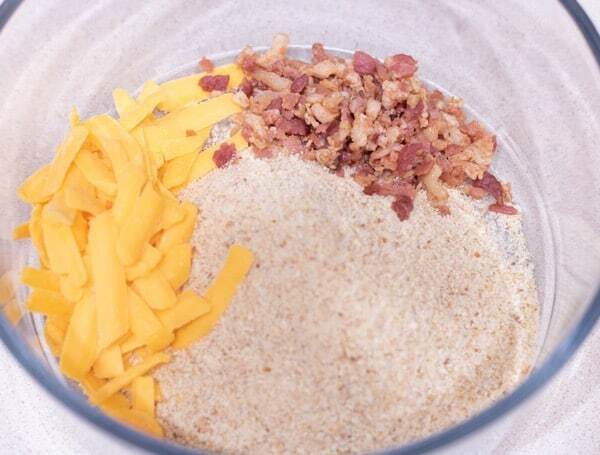 In another bowl combine bread crumbs, bacon bits, and cheddar cheese. 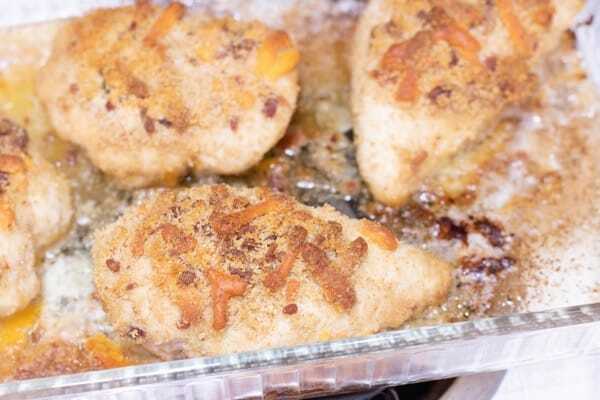 Roll chicken breasts in melted butter bowl be sure both sides get good and wet. Then roll both sigdes in bread crumb mixture. Top with left over bread crumb mixture then pour remainder of the butter around the sides of the dish. Yum! This looks delicious! TFS! 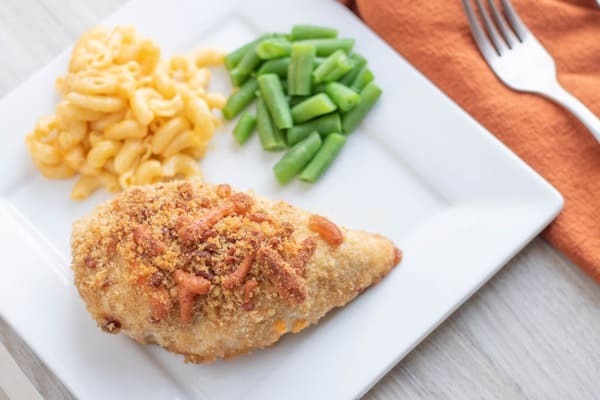 My grown kids (very picky eaters) loved this chicken and ask for it all the time. Hi Wayne! Thanks for stoping by and taking the time to leave a note.❤️ I’m glad that your crew enjoys them. They are really yummy! This sounds really good. 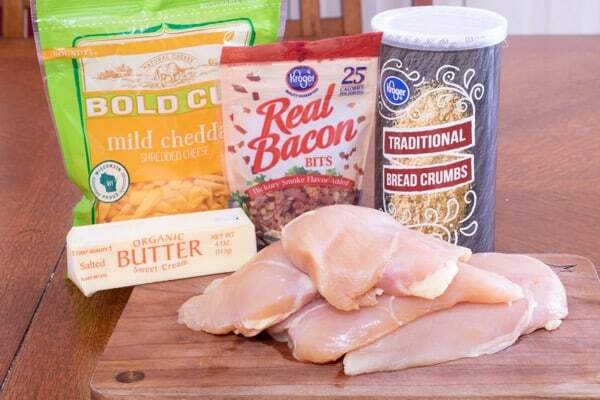 I am always looking for new recipes with chicken breast. 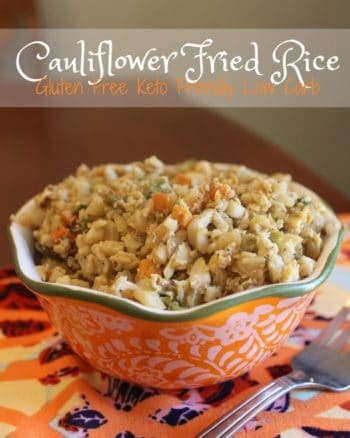 Love to try this recipe, looks so yummy! 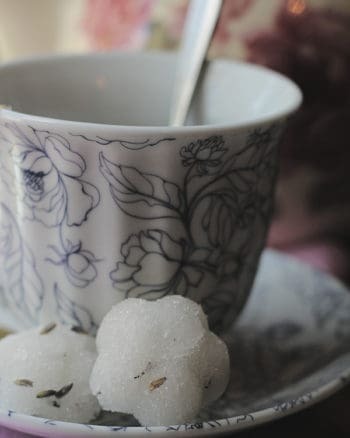 Another great recipe to add to the files. 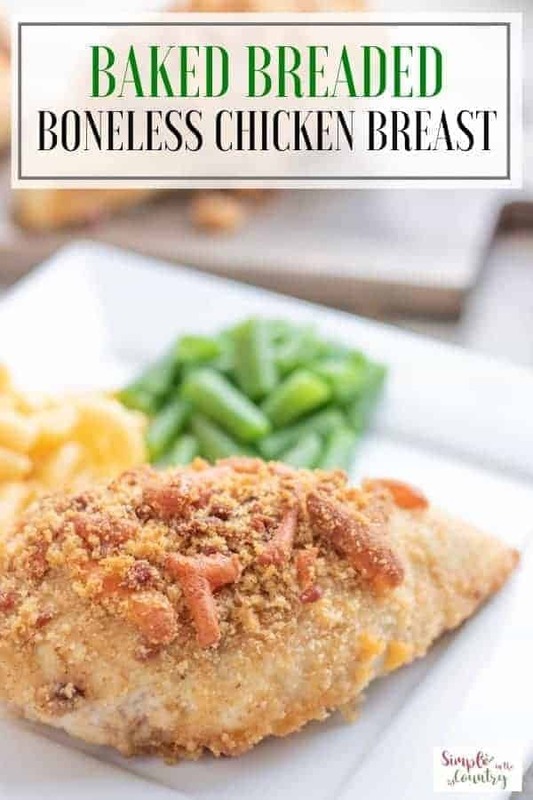 I just enjoy chicken because it is so easy to work with and will go with just about anything. Super easy! And very yummy and juicy! Great recipe! Can’t wait to try this! Its super yummy! Let me know what you think about it please!